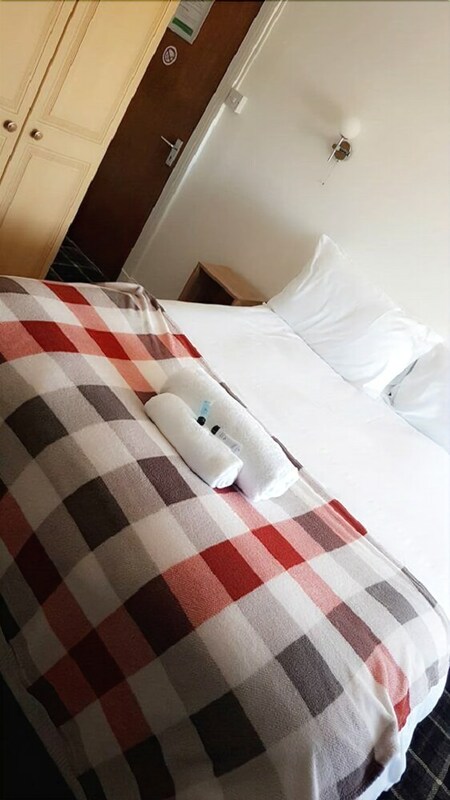 Situated near the airport, this hotel is 2.7 mi (4.3 km) from Dunfermline Abbey, and within 12 mi (20 km) of Forth Road Bridge and Edinburgh Zoo. Linlithgow Palace and Murrayfield Stadium are also within 16 mi (25 km). Rosyth Station is 7 minutes by foot. A restaurant, conference space and laundry facilities are available at this smoke-free hotel. Self parking is free. All 9 rooms provide complimentary wireless Internet access, room service (during limited hours) and flat-screen TVs. Guests will also find electric kettles, hairdryers and showers. The hotel offers a restaurant. 2 meeting rooms are available. This Dunfermline hotel also offers laundry facilities and room service (during limited hours). Complimentary self-parking is available on-site. The Gothenburg Hotel is a smoke-free property. Cooked-to-order breakfasts are available for a surcharge on weekdays between 10 AM and 11:30 AM and at the weekend between 9:30 AM and 11:30 AM. Ghillies – This restaurant serves breakfast, lunch and dinner. Open daily. Start your day with a cooked-to-order breakfast, available for a surcharge on weekdays from 10 AM to 11:30 AM and on weekends from 9:30 AM to 11:30 AM. Room service is available during limited hours.